Sophos Mobile Security for Android is free and easy to install and use. See what users and the press think about our free Android security app. A recent review by the French consumer IT publication 01net gives our free Sophos Mobile Security for Android app an outstanding review. In a comparison of 10 free and paid mobile antivirus apps, 01net ranked us second, placing us ahead of vendors such as AVG, Kaspersky, Trend Micro and others. Read the complete 01net Android review here. The independent, non-profit group AV-Comparatives praised Sophos Mobile Security version 3.0 in its August 2013 Mobile Security Review, calling it a comprehensive security suite that is "mature and well-balanced." Read more about the AV-Comparatives review on the Sophos Blog. AV-Test recently evaluated 22 mobile security products for Android with a focus on malware detection and usability. Our Sophos Mobile Security scored above the industry average for protection against malicious Android apps, and received a perfect 6 out of 6 rating for usability (the impact the security software has on the usability of the device). Check out the full AV-Test product review here. This is the most comprehensive malware protection, but also free and from one of the best IT security companies in the world. If you want your phone locked down with incredible protection, this app is for you. This is the most comprehensive and totally free security suite for Android. Very elegant design and light on resources too! After using Avast, Norton and Bitdefender, this is my choice. Have had it installed on my LG Android for over a year and have zero problems! Sophos detected some malware that my other antiviruses did not. 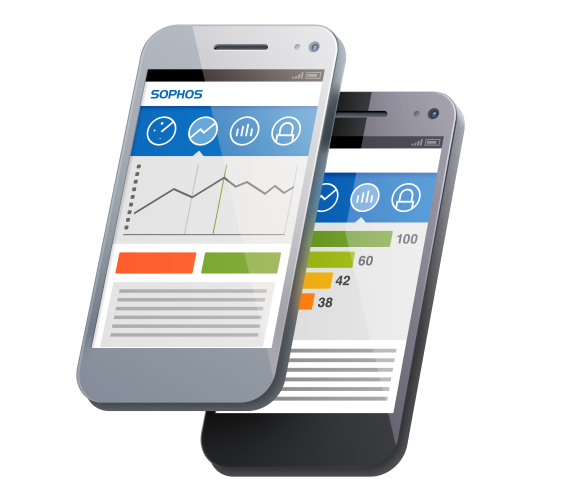 If you’re looking for a powerful tool to enable BYOD and keep your corporate data safe, learn more about Sophos Mobile Control. We’ll make it easy for you to give mobile workers all the apps they need while still enforcing a consistent security policy for smartphones and tablets. Whether company- or employee-owned, their devices will be secure. We'll let you control their security features and even remotely lock or wipe the devices if they’re lost or stolen.